3D printing in medicine is becoming widely adopted due to the technology advancement. The ability to customize and produce test models makes 3D printing invaluable in dentistry, prosthetics, etc. There are more sophisticated applications of this technology that medical professionals are starting to explore. What used to be the work of imagination, nowadays gets implemented in practice. Leapfrog 3D Printers, a manufacturer of professional machines, shared the experience that The Mackay Hospital had while using their Bolt 3D Printer. The Mackay Hospital in Queensland, Australia, is known for its modern facilities and the use of latest technologies. It came as no surprise that 3D printing was introduced into their research. Doctor Jonathan Davies gives his feedback about using Leapfrog’s Bolt 3D Printer in their work. 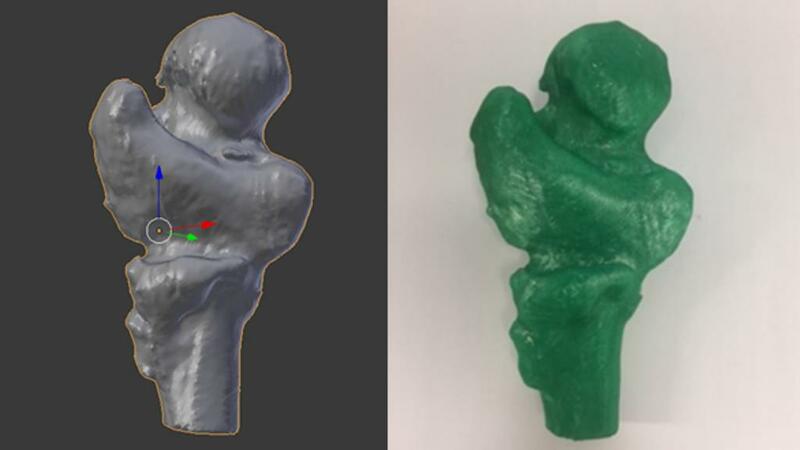 We are able to print fractured bones or bony deformities which gives the surgeons a tactile model to imprint the bony architecture in their memory. This makes surgery much easier and increases the surgeons understanding of the geometry. 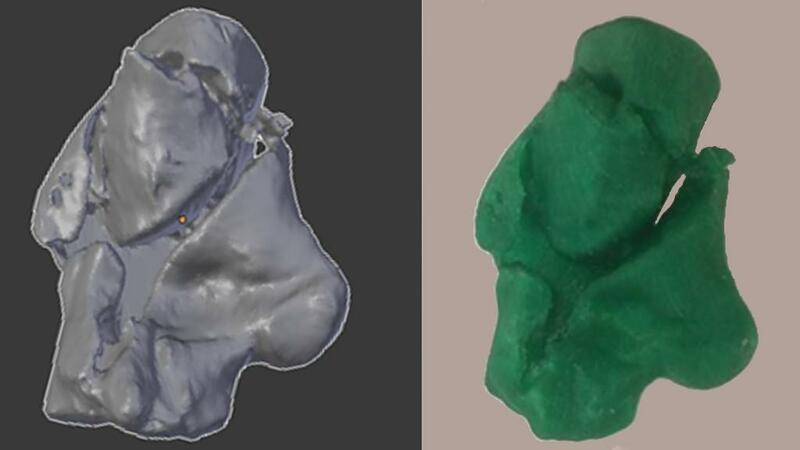 We can also use the models to trial implants and metalware so that we know what equipment will work best for fixing fractures. Large print volume allowing us to print large bones. High temp hot ends allow us to print with heat stable materials that could be sterilized (however, unfortunately, FDA approval means we cannot do this). Enclosed with HEPA filter allowed us to use in our office. Doctor Davies highlighted that saving operating time due to the surgeons getting familiar with the procedure/architecture in advance is an extra benefit from using 3D printing. Furthermore, seeing finished models helps the patients to understand the nature of future procedure. The pictures above feature the scanned bones awaiting surgery together with their 3D printed replicas: fractured femur and calcaneus bones. The medical staff at Mackay Base Hospital made a short video demonstrating how CT scans are turned into 3D models.